MGS Custom Cutting was founded by Marilyn and Gale Smith in 1991 to process our own animals as well as friends and extended family’s animals. As business grew, we expanded with the building of a 3,500 ft² facility to continue processing and offer slaughtering services. 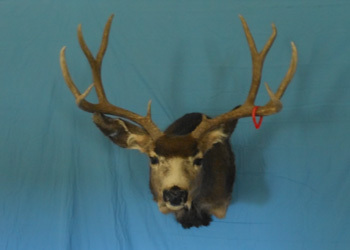 In 2011, we began to offer in-house taxidermy services and added a studio and showroom in the spring of 2014. We are regular sponsors of the Navajo Nation Youth Deer Hunt, RMEF, Mule Deer Foundation, Ducks Unlimited, Sportsmen for Fish and Wildlife, and the San Juan County Fair Jr. Livestock Auction. Over the past 25 years, we have grown from a small operation to a fully functional custom processing facility for your local community. 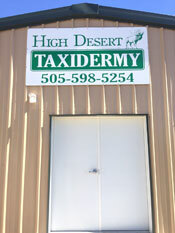 Other services that we offer are taxidermy and catering services for your individual needs.